Join Top Shelf Quilts in helping Operation Care Package by sewing draw string Shower and Gift Bags, Neck Coolers and Christmas Stockings for our troops. 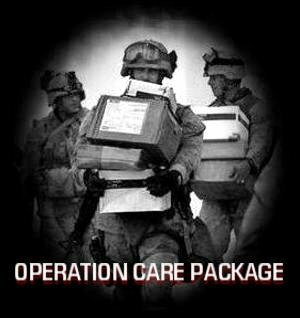 Operation Care Package will then add personal care items and ship them to our deployed troops. Complete kits are ready for you at the shop. Kits can be completed on your own OR you are invited to a Operation Care Package Sew Day at TSQ. Bring your machine and sewing tools, stay a couple of hours or stay all day. We will have kits, mats and irons, etc. for your use on Sew Days.